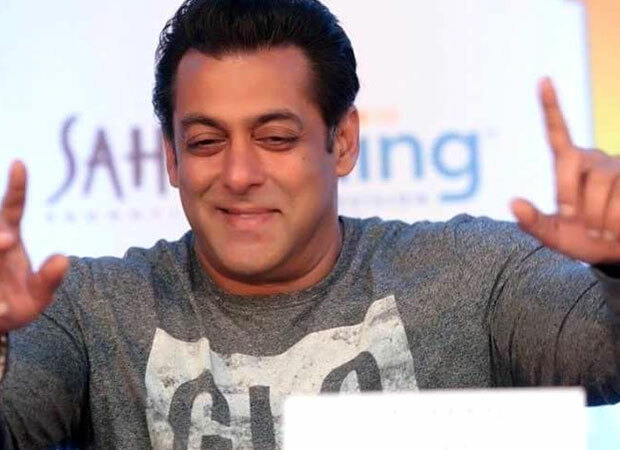 Salman Khan is in US for Dabangg tour along with his favourite leading ladies: Katrina Kaif, Jacqueline Fernandez, Sonakshi Sinha and Daisy Shah. The show has already kickstarted across United States and Canada. There was a press conference organised before the show in Atlanta and Salman was at his witty self, there. A journalist posed a typical, ‘When are you getting married question’ and Salman dodged it in a new, refreshing and interesting style this time. So this reporter from across the border asked Salman, ‘Bhai, Bhabhi kab ayegi’ to which he said nonchalantly, “Bhabhi aane ka time ab ho gaya hai.” He later told her, that it’s a shame she called him ‘Bhai; otherwise ‘Bhabhi toh abhi aa jati.” Trust Salman to be all charming and funny, if he wants to be. The reporter was left blushing after his smart retort! On work front, his last release Race 3 is doing good business at the box office. He will be starting work on his next, Bharat in September. The movie is significant because it is his pet project and also as it will be Priyanka Chopra’s smashing Bollywood comeback after her successful stint in Hollywood. Bharat also stars Disha Patani in an important role. He is currently busy with the Dabangg tour which will be on till July 8. Meanwhile, on personal friend there are continuing rumours of him dating his Romanian friend Iulia Vantur while there is a growing chemistry between him and his co-stars Jacqueline Fernandez and Katrina Kaif, albeit on-screen. While Salman is busy with Dabangg tour, Iulia is lighting up the green carpet at IIFA 2018 which is happening over the weekend in Bangkok.